An invitation to the Kings Vineyard. 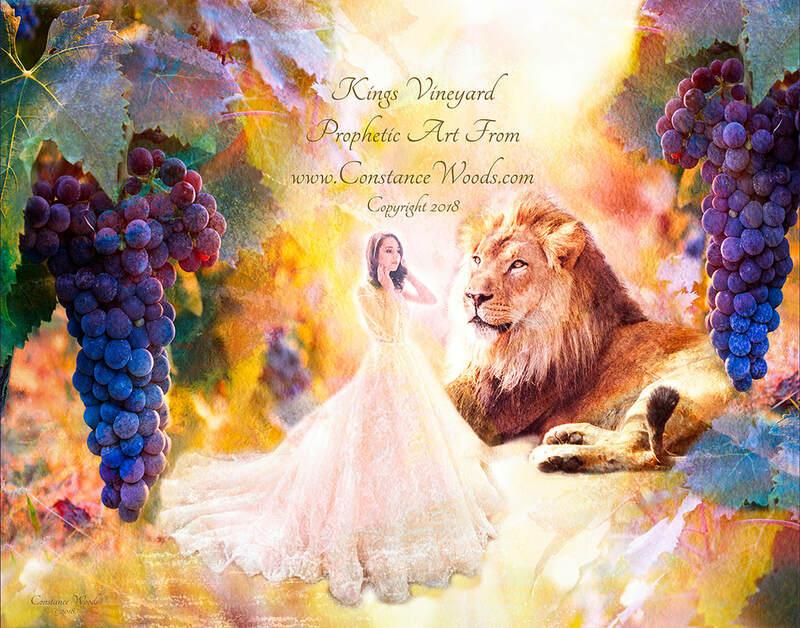 Jesus is prophetically pictured as the Lion of Judah gazing at His radiant bride. The grapes are ready to harvest and the new wine has come. * Fine Art Prints will be shipped in a flat cardboard box or tube.